Harbor Commissioners might recommend changes for management of derelict vessels, large yacht anchorage and liveaboard permitting. NEWPORT BEACH — The upcoming calendar year could bring a few interesting changes and updates to Newport Beach Harbor, as the city’s advisory board for waterfront matters provided what could be a sneak peak of what they might address in 2018. A fee structure for large transient vessels, clarification of liveaboard regulations and an updated definition of what constitutes a derelict vessel were among the topics discussed at a recent Newport Beach Harbor Commission meeting. Commissioners fell short of making any definitive recommendations on the three issues at their Nov. 8 meeting at Newport Beach City Hall, but much can happen by this time next year. The seven-member advisory commission could soon be recommending a new fee plan for visiting superyachts or megayachts. Newport Beach Harbor had attracted large yachts, such as the 216-foot Invictus, in the past. The question has always been whether the city charged the visiting superyacht/megayacht owners a fair amount for docking in the harbor. Details of the Harbor Commission’s recommended policy – including the definition of a large yacht, where such vessels can drop anchor and the fee they would owe the city – could be revealed in the first few months of 2018. Harbor Commission members also discussed possible changes to liveaboard permits. 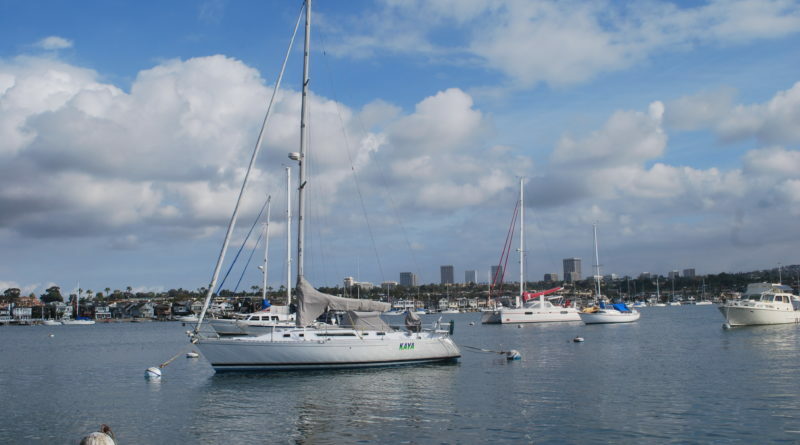 Newport Beach allows about 70 active liveaboard permits to issued at once; about 30 or 31 are currently being used, according to one estimate shared with The Log. The city also grants 15-day sublets, which allows for temporary liveaboards – but without a permit. Also up for discussion: derelict vessels. Newport Beach received funding from the state to help boat owners part ways, for one reason or another, with vessels they might have otherwise abandoned. Commissioners might also recommend an updated definition for “derelict vessel” in 2018. Commissioners, city staff and council members could also finalize a plan to streamline public pier signs across Newport Beach.